The following websites all support the new National Curriculum and pupils are encouraged to visit these sites in order to complete their homework. An e-learning resource that immerses children in the real world. It helps children gain a solid understanding of people, places and cultures of the world, supporting the teaching and learning of Geography and Global Citizenship topics. A range of Phonics games for children to practice Phonics at home and a range of advice to support parents in helping their children learn to read. Rich, multimedia resources to support learning across the whole curriculum, such as videos, games, factfiles, articles and news bulletins. Your child will need a Rapid Reading password to gain access. Online educational games to support your child in Maths and English. 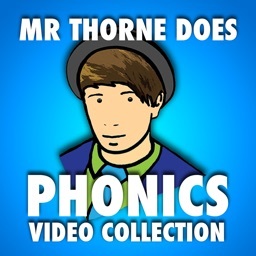 A range of educational, tutorial videos to use while teaching your child to read and spell. Reading Eggs supports each child's learning in reading, writing and spelling by offering individual, one to one lessons. Your child will need a Reading Eggs password to gain access. An online programme of daily times table practice. Your child will need a TTRockstars password to gain access. Super Movers is an exciting partnership between the Premier League and the BBC which aims to inspire primary school children to get active. They are fun, curriculum-linked 'Brain Booster' song and movement routines that focus on Literacy and Numeracy skills and range from fractions to punctuation to times tables. There is also a range of 'Just for Fun' videos and games designed to get children and grown-ups moving together in their living rooms.